In the fifth year of conflict, the master plan for the invasion of Hitler’s Channel stronghold is the Allies’ greatest secret. National security demands it doesn’t fall into enemy hands. So when Colonel Hugh Kelso is pulled from the sea off German-occupied Jersey in April 1944, a major crisis erupts. 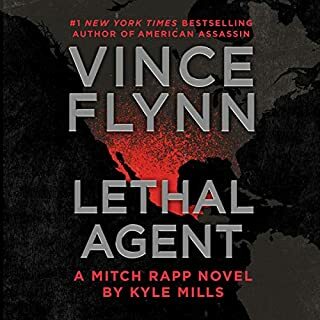 Because Kelso is still alive and knows the exact details of the imminent invasion, to ensure the success of their offensive, the Allies launch a suicidal mission to rescue the Colonel...or silence him forever. Joe Martin had been on many salvage operations, but his gut feeling told him this one was different. The insurance company and the beautiful widow of the dead pilot had hired him to find out what he could about the crash, but some things were best left alone. For twins Rich and Jade, their lives have just been turned upside down. When their mother is tragically killed in a car crash, their long-lost father, John Chance, appears to collect them at the funeral. He’s a bachelor who lives on his own, and it’s clear that Rich and Jade aren’t welcome. But when Chance suddenly disappears, Rich and Jade uncover the truth: He’s a spy. And now, whoever kidnapped their father is after them, too. Sure Fire is a gripping adventure from the master of the modern thriller. On April 30, 1945, Russian radar reported a light aircraft leaving the vicinity of the Tiergarten in Berlin. But who was on board, and where was the plane going? Berlin was in ruins as the Russians moved relentlessly towards the concrete bunker where the Nazi administration was falling apart. But one man, Reichsleiter Martin Bormann, Adolf Hitler's secretary and eminence grise had a daring plan to escape. It is night in Manhattan. The president of the United States is scheduled to have dinner with an old friend, but in the building across the street a man has disabled the security and stands at a window, a rifle in his hand. The assassination doesn't go according to plan, but this is only the beginning. Someone is recruiting a shadowy network of agents with the intention of creating terror. Their range is broad, their identities masked, their methods subtle. The story was riveting, but I had somewhat of a time following it as an audiobook. A lot of action takes place and if you don't stop at a "good place", you may have to go back and re-listen, sometimes 2 or 3 times to "catch up". As a novel, it was a true page-turner and easy to go back and pick up on the missed details. 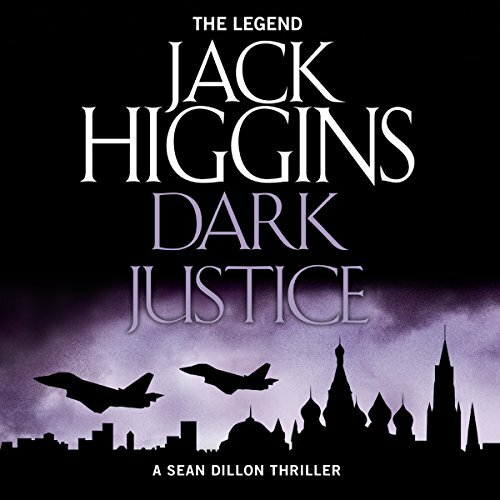 Higgins doesn't just write to write - the details are important. And if you miss one, you miss can a lot. The plot is very intriguing, and scarily believable. WIth so much spy vs spy stuff going on in today's world, this book is timeless...it could have been WWI, WWII or the start of WWIII. A great read! Higgins style all the way! Good story. Normal pace and characters. Always predictable to be honest and I feel I could write the books myself now, but still difficult to turn off! 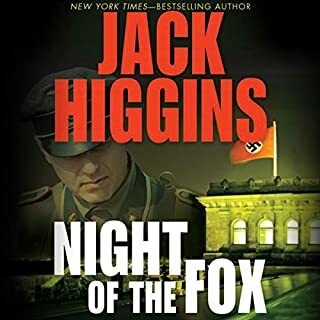 I am a fan of Jack Higgins and read his books in hard copies as well as audiobooks. 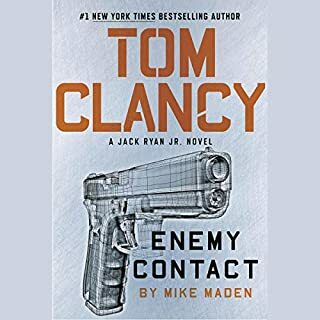 Most of the audiobooks are read by Michael Page which were excellent. 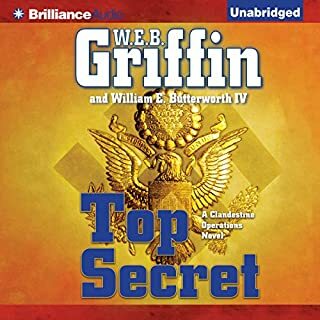 This book was read by Johnathon Oliver who gives the worst performance of any audiobook I have ever listen to. 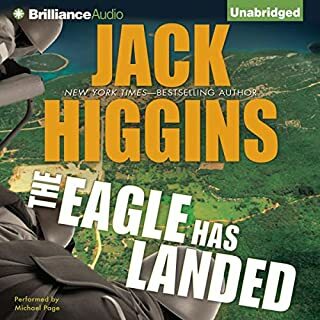 The story is excellent and follows in the Jack Higgins tradition, but this version is painful to listen to. Mr. Oliver completely ruins the book. Mr. Oliver pauses after every sentence and makes you feel like the program ended. I may have to return the book for refund which I rarely do. 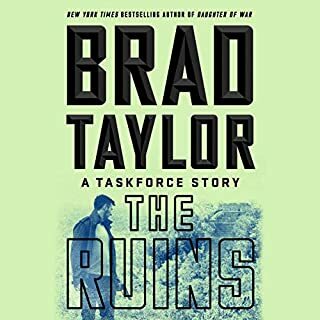 I've listened to all of the series so far after completing the Jack Reacher set, however this one has been the worst of all. It's the same old recipe for Sean, even the way people are knocked off has been included in previous books. Average at best, I'm off to find another series to spend my credits on.